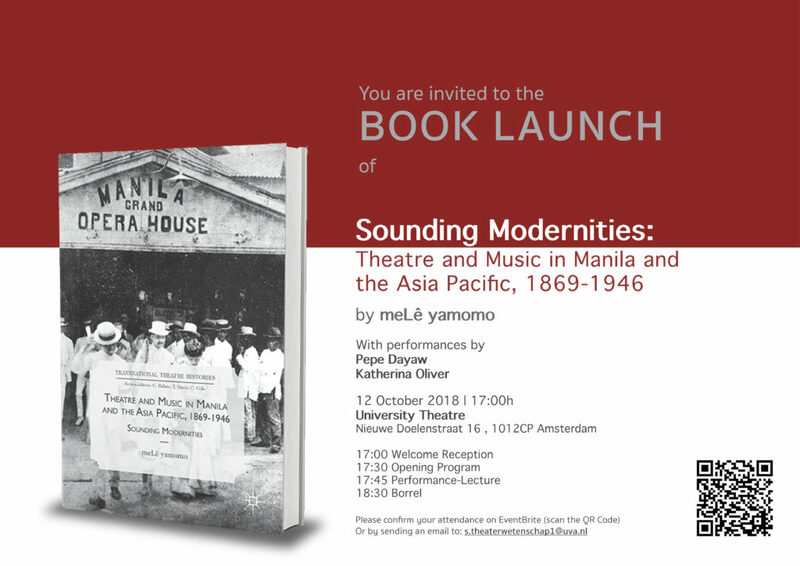 I’m excited to announce that my book, »Sounding Modernities: Theatre and Music in Manila and the Asia Pacific, 1869-1946« is now out! I would like to cordially invite you to a small gathering of friends to celebrate the launching of the book. This will take place on 12 October at the University Theatre in Amsterdam (Nieuwe Doelenstraat 16, 1012CP Amsterdam). The welcome reception is at 17:00. My friends, Pepe Dayaw and Katherina Oliver will have a special performance and the nachtvlinder, Lonneke van Heugten will be hosting the event. Header photo taken during the event.